The practice was established in 1986. It has since grown to a full scope optometric practice with the latest diagnostic equipment. We offer a full range of eye care services with strong emphasis on clinical care enabling early intervention and appropriate referral when needed. Recent acquisitions include a Oculus Pentacam HR scanner® for evaluation of the cornea and anterior segment of the eye, Ophthalmic technologies Incorporated spectral OCT/SLO® combination imaging system for evaluation of the retinal nerve fibre layer and macula, as well a full photographic suite for anterior and posterior segment photography. 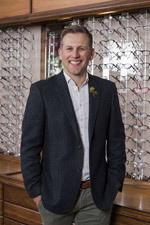 Although our practitioners have diverse interests in the eye care field, their specialities include contact lenses, sport vision, paediatric optometry, ocular therapeutics and nutrition. We stock a large range of branded spectacle frames, contact lenses and solutions. 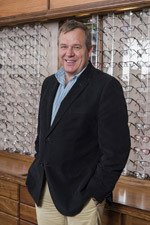 Dirk attended Optometry school from 1981 through 1984 at the Wits Technikon School of Optometry in Johannesburg, obtaining a Diploma in Optometry. Gerrie attended the University of the Free State where he studied B.Sc. and graduated with a Baccalaureus in Optometry degree in 2005. Marolize completed her Baccalaureus in Optometry degree at the University of Johannesburg in 2016 earning the best clinical student award. Browse through our Eye Care section to find comprehensive information bout Eye Care Products, Refractive Conditions, Common Diseases & Conditions and Common Surgical Procedures. To speed up the Administration process when you arrive at the practice, there are a variety of forms available on our website that you can either complete online or print out and fill in beforehand.